I’m a bit of a fan of Sinn watches. I’m a fan of the Lemania 5100 movement too, and not long ago both came together when I managed to pick up a really lovely 142 in great aged condition. 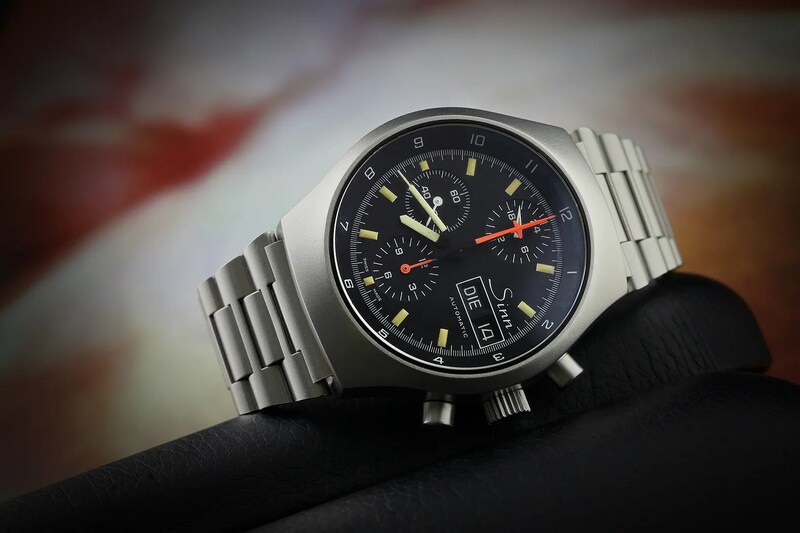 I wrote about it here so I won’t bother rambling on about the movement again, but suffice it top say a friend from TZ-UK managed to convince me that I should trade it against his Autavia GMT. 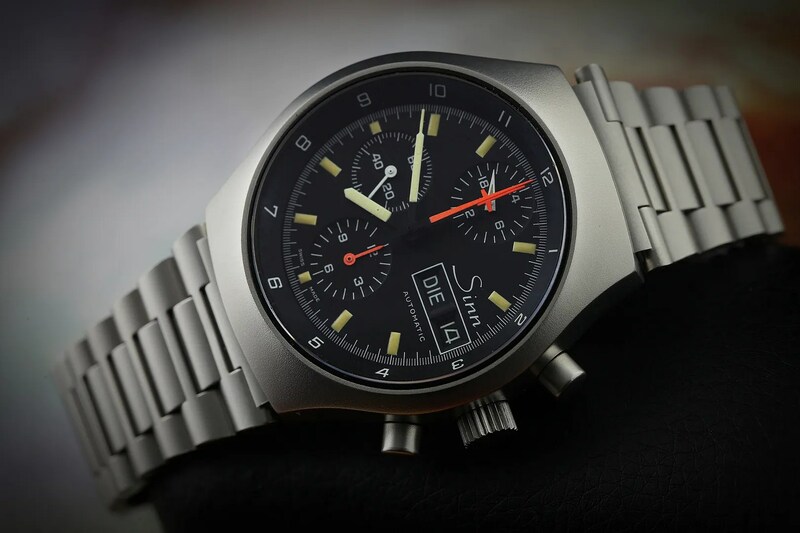 Now, I’d just sold the stunning NOS GMT I’d had for some time and was feeling a little bereft, so I agreed to the deal and let the Sinn slip through my fingers after just a few weeks. I shouldn’t have done that, really. 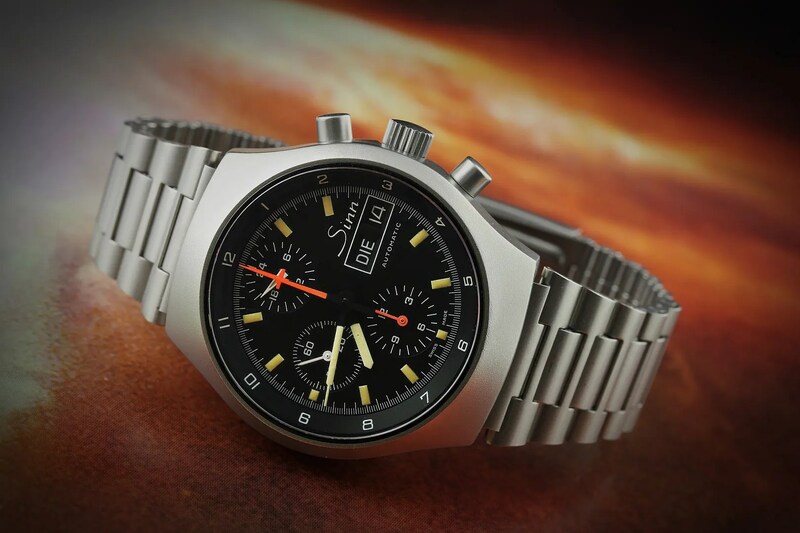 Anyway, I considered the situation for a while, and then decided to go on the hunt for the “real” first second automatic chronograph in space. 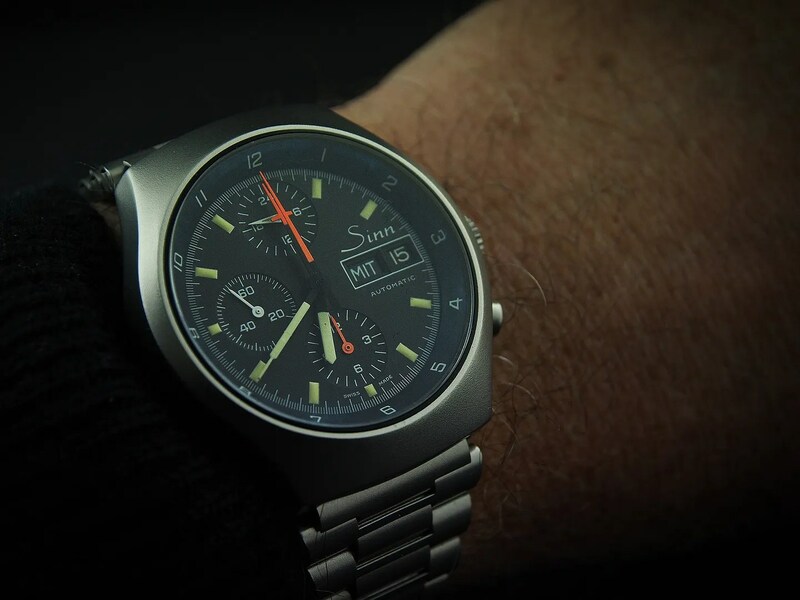 Not the Seiko Pogue (that really was the first) and not the Sinn 142… but the 140, as worn by Reinhard Furrer back in 1985 aboard the Challenger. The 140 didn’t have the same dial layout nor did it have the same movement – but it was a Lemania-powered watch and I reckon the dial with it’s two registers was actually a little cleaner. I was quite happily biding my time, in fact, when that same friend gave me a heads up that there was something slightly different available on another forum, and as soon as I saw it I knew it was the one for me. A few days later and it had landed from Italy, well packed and looking rather lush. 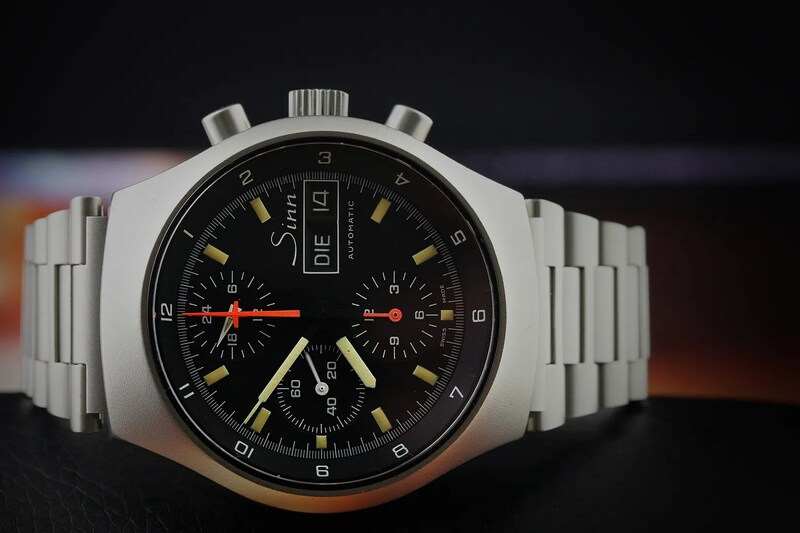 The watch in question is a Sinn 157 St 12. It’s not very common, and I don’t recall seeing any before, but it’s certainly pretty interesting. The case is 40mm x 45mm x 15mm, and consequently wears far more easily than the plethora of similar 42mm variants. Despite it’s unusually small dimensions (although it’s still fairly thick) it really does have fantastic wrist presence. 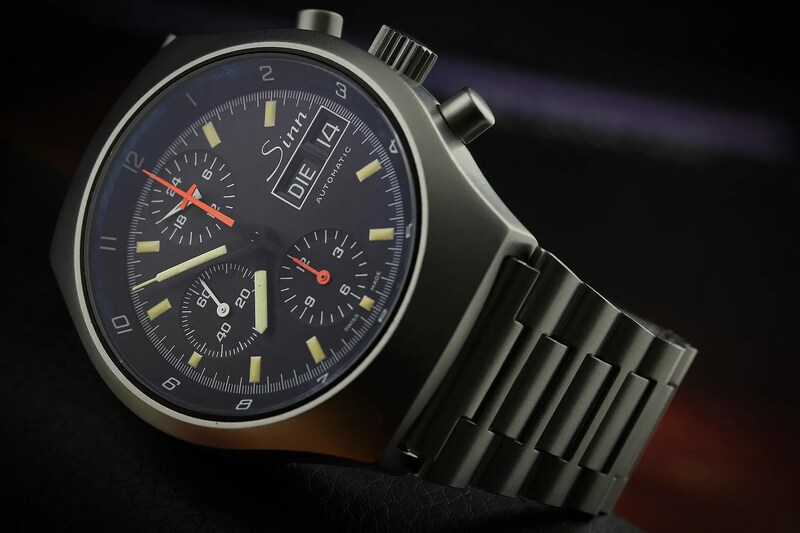 It also seems that the case itself was not manufactured by Sinn, but was a component that was outsourced and then assembled for Sinn by Guinand. 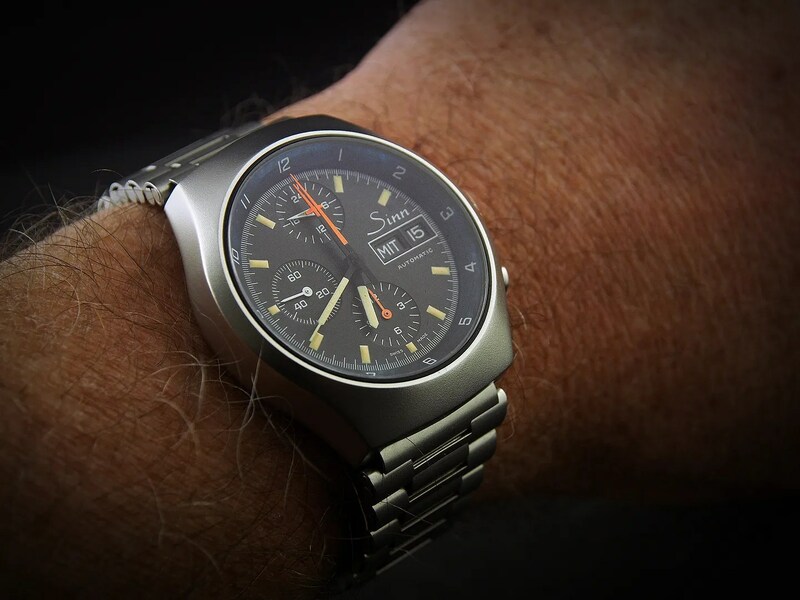 I think Heuer used the same case (amongst others) as well, and dating from the early 80’s it was the time when there were some Bund contracts causing a fair degree of excitement (and some fierce inter-brand competition). I can’t say much more about it, as it’s not a model that has had much written about it. This one is pretty much mint save for a small nibble and a couple of light scratches to the crystal (undisclosed, sadly). I may at some point send it to Sinn for a replacement, and if/when I do I’ll think about having the German date wheel replaced as well. It also has the “military” 12-hour chapter ring, although others had a tachymeter scale instead. I have no idea how the 12-hour scale was used from a functional perspective, but I’ll draw the line there and keep it as it was originally supplied. The bracelet is as mint as the case, a period NSA job that is about as comfortable as a bracelet can be. The clasp closes nice and firmly so there’s no worry in wearing it, but the watch did come with a Di Modell Pilot and a German bund strap; and the original Sinn box, which is a nice extra. All in all, I think it’s a great find, and although the photos were all a bit rushed I hope they demonstrate what a lovely watch the 157 is. This entry was tagged Sinn. Bookmark the permalink. finally find someone who seems to understand this machine. 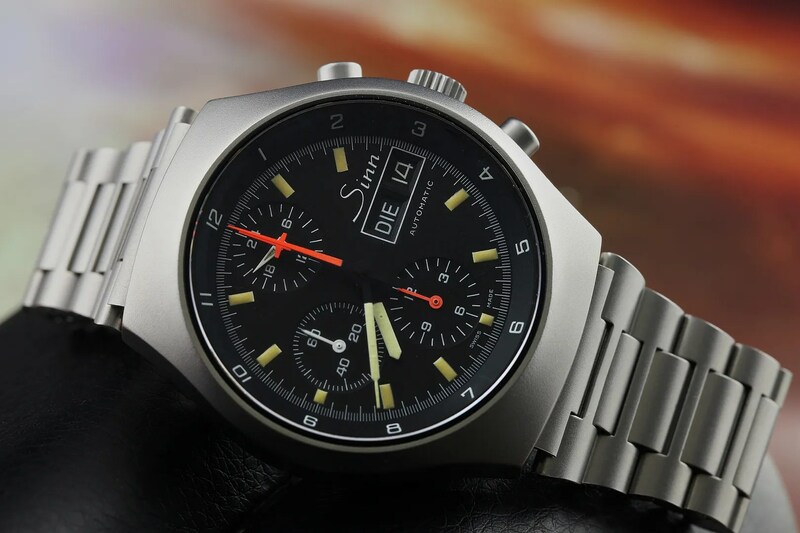 Received from a friend a SINN, but never knew it would be a 140, 142, or another, I’m Portuguese and I had a hard time finding someone to help me. I wonder if I can send a picture to someone help me identify this beauty. could you help me. Feel free to drop me a line, Miguel – there’s an email link on the About page.